Rangers Bring on the Subs And Change Lawyers – Why Are They Represented By Insolvency Experts? Are Rangers Bringing on the Legal Substitutes? After the deserved win by Rangers over Celtic on Sunday, last night’s loss to Falkirk will have cast a pall of gloom over the Ibrox support again. 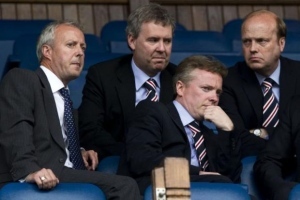 Should the selection of their legal team, and the choices made by Craig Whyte since his takeover be of more concern than how long David Weir’s knees will hold out? Do they tell us something about Mr Whyte’s intentions regarding the football team, and its potential insolvency? Is it significant that the two most important lawyers acting for Rangers in defending them against claims are both corporate insolvency specialists? There are Rangers’ fans already very concerned about the legal battering the club has been taking. Are there possible reasons for this? We’ll start with Rangers’ dispute with Levy & McRae, about which I have written already. Rangers over the years have used the services of different firms of solicitors to deal with various types of business. These cover matters such as employment issues, contracts with players and third parties, commercial enterprises, conveyancing, tax advice and finally disciplinary matters, both for players and for the club as a whole. This is common in large businesses and organisations. The maxim “horses for courses” applies. Levy & McRae, which amongst its many strings to its bow is one of the top “fire fighting” law firms in Scotland, acted for Rangers for some years in connection with disciplinary matters. This culminated in the UEFA disciplinary hearing in April 2011 where Rangers were represented by Peter Watson, the vastly experienced Senior Partner of the firm. Rangers’ penalty for being found guilty of their fans singing sectarian songs both at home and abroad was a fine, a ban on fans attending one away game, and a further suspended ban. Speculation beforehand that UEFA might insist Rangers played one or more home games behind closed doors, with a resultant huge loss of revenue for the club, proved to be off the mark. By all accounts therefore Levy & McRae had done their job, and done so very well. Just after this, Craig Whyte completed his takeover of the club. It appears that he had decided he wanted to make a clean break from the former regime. This included dispensing with the services of former advisers, such as Mr Watson’s firm. When there is a takeover of an ongoing business of a significant size, it is likely that the new ownership team will (a) have their own roster of trusted advisers already and (b) might want to make changes at the very top of the organisation. So it might not have been unexpected that Rangers would choose new lawyers, although the nature of Levy & McRae’s work for Rangers meant that they would only be needed when disciplinary matters came up, and as such, Mr Whyte had no need to cut ties until the next case appeared. However, that did not happen and their services were dispensed with. Levy & McRae were closely connected to Martin Bain, in his role as Chief Executive at Rangers, and, as discussed later, Mr Whyte seems to have no time for anyone senior connected with Ibrox before his takeover. Levy & McRae had been dropped. This seems directly to have set in motion Levy & McRae’s court action. Whilst lawyers might hold off from pursuing a bill with regular clients, to preserve the business relationship, there is no reason to do so if the firm is no longer instructed by the client. Rangers refused to pay the £35,000 bill charged by Levy & McRae. Either they had no money to do so (and if Rangers could not afford £35,000 then this is an even bigger story) or, as would appear to be the case, they simply decided to bluff Levy & McRae, which has spectacularly back-fired on Mr Whyte. Rangers found themselves at the receiving end of a Court of Session action for payment brought by their erstwhile solicitors. Whilst this could have been resolved by them paying before the matter needed any hearing, this did not happen. The case had to be called in court where Counsel for Levy & McRae pointed out the embarrassing facts regarding the late payment. At the cost of the full sum due to Levy & McRae, plus perhaps £10,000 of costs payable to them, and Rangers’ own legal expenses, the matter was resolved. But the shame factor and the extra costs involved seem a very high price to get this out of the way. Bearing in mind that the new ownership team at Rangers might, though lack of information, have been unclear as to whether or not the specific sums were due, what could have been done about this? Scots Law has a procedure laid down for dealing with these cases where legal bills might be in dispute. The Auditor of Court has the power to carry out what is called a Taxation (perhaps standing Rangers’ issues with HMRC, that word put them off). This involves the Auditor, who is independent, assessing the work done and determining the appropriate fee. It is normally a client’s right to insist on a Taxation, and indeed, especially where a business has changed hands, one would expect the lawyers to suggest taxation to re-assure the new owners that work done under the old regime was being properly billed. No mention of taxation was made, for the simple reason that Rangers either decided not to do so, or that they did not understand what to do. So Rangers had been embarrassed by having their dirty linen aired in court by their former lawyers. Even worse, Levy & McRae were acting for Mr Bain in connection with his dispute with Rangers. As I have mentioned before, at first sight this seems to suggest a conflict of interest, which is something lawyers are at pains to avoid. However, what might seem on a simple analysis to be a “conflict” i.e. Levy & McRae had acted for Rangers and were now being asked to act against them , is not so. From an outsider’s perspective, how does the Bain/Levy & McRae/Rangers relationship stack up against these guidelines? Firstly, Rangers were no longer clients of Levy & McRae, so they were not in the position of giving different clients different advice. Secondly, as Rangers were no longer clients, that consideration does not apply. Thirdly, as Levy & McRae had dealt only with specific disciplinary matters at Ibrox, and not with corporate issues, or in any way in connection with the takeover, they would not have had the “confidential” information from Rangers by that means to use against them. Levy & McRae, in anticipation of this being raised as an issue, had taken the advice of two QC’s and of the Law Society. Despite this, the lawyers acting for Rangers have proceeded to lodge a complaint with the Scottish Legal Complaints Commission against Levy & McRae. Whilst Counsels’ opinions might be subject to disagreement, the fact that, having obtained two such opinions, Levy & McRae had cleared the position with Bruce Ritchie, who is the fount of all knowledge regarding Professional Practice issues at the Law Society, would suggest that such a complaint will not go far. If indeed, as Mr Watson says, the lawyers acting for Rangers have complained anyway, and have failed to tell the SLCC about the answers they received previously from the firm, that must raise questions about the legal advice Rangers are receiving. The complaint is a classic example, to use a football analogy, of going for the man and not the ball, and in these circumstances would suggest that Rangers are rattled. It is very interesting to see who are lined up in the “blue gowns” for Rangers in these matters. Rangers Football Club is a Scottish company. It operates under Scots Law, and is presently engaged in litigation before the Court of Session in Scotland. One would expect therefore that, in relation to Scottish Law matters, they would have a Scottish qualified lawyer leading the way. 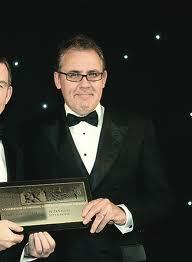 The lawyer quoted as acting for Rangers is Gary Withey of Collyer Bristow in London. That is a high powered London commercial firm, whose home page lists the types of high-profile clients for whom they have acted. 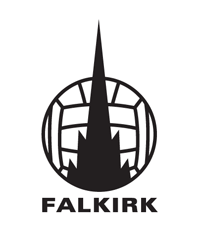 In addition, they proudly announced their involvement with Rangers on completion of the deal on 19th May which included the statement that Mr Withey would take up the post of Company Secretary to the Club. That is a perfectly normal step. There is no requirement that a Company Secretary be a lawyer, let alone one qualified in the country where the company is based. However, if Mr Withey’s firm is seeking to lead the defence of the litigation, and to pursue the complaint against Levy & McRae, this seems odd, and perhaps will ultimately assist Mr Bain’s case. I do not intend to cast any aspersions on Mr Withey or his firm. I merely offer comment on what appears to be the situation and am happy to be corrected should I make any incorrect assumptions. It is of note that Mr Withey’s profile, linked to above, describes his areas of Experience as “Public company, AIM, Plus Markets, M&A. Insolvency and Financial Services Enforcement Actions.” Bearing in mind the speculation about Rangers’ financial future, especially if the HMRC case goes against them in two months’ time, it seems that Mr Whyte has been prudent in appointing as Secretary and legal adviser an expert in Insolvency! As disclosed in the press, and indeed on the Scottish Courts website Rangers’ defence in court was in the hands of Warners an Edinburgh law firm. It should be noted that in Court of Session cases, where the principal solicitor is based outside the capital, an Edinburgh form will, normally be engaged to assist with the case. For example, Levy & McRae’s Edinburgh correspondents are Balfour & Manson, one of the most eminent firms in Scotland. The fact that Warners were engaged, apparently by Collyer Bristow, took some in the legal community by surprise. Whilst Warners is a respected firm, a number of lawyers with whom I have spoken wondered why one of the traditional “heavy hitters” had not been engaged. It may well be that Mr Whyte or Mr Withey have had excellent results from that firm, and I am in no position to offer any comment upon what advice, and the standard thereof, given to their clients. Their choice did seem an odd one though. This became even more so after the recent hearings in the Levy & McRae case and that of Mr Bain. In the latter, Mr Bain’s team were successful in being given authority to arrest a substantial sum of money in Rangers’ hands pending resolution of the case. This was a significant setback for Rangers as it required the judge, Lord Hodge, to determine that there was a risk of insolvency at the club. 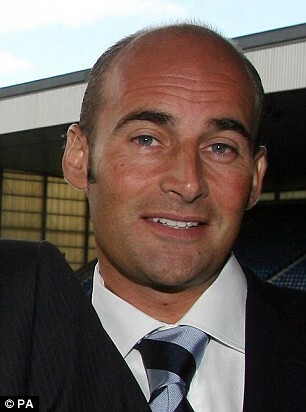 Eyebrows were raised too at the choice of Brian Napier QC to act for Rangers in the hearing on the arrestment. Mr Napier has an outstanding reputation in the fields of Employment Law and Discrimination. However, on the “horses for courses” principal mentioned above, what might have been better was a tough Commercial Court practitioner, ready to fight tooth and nail over the issues of solvency and arrestment. Whilst this is an employment case brought by Mr Bain, issues of employment law were secondary at that hearing to those of “debt collection”. 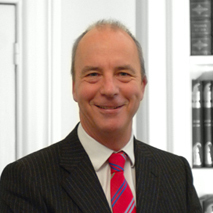 Mr Bain’s QC, Nick St John Ellis, is well known as one of the top Court of Session commercial litigators. Rangers were unsuccessful at that hearing. As far as concerns about Rangers’ legal team go, these seem to have been justified by the news, which has been floating around the internet since the hearing before Lord Hodge, that Rangers, or Mr Withey, have dispensed with the services of Warners and Mr Napier. It is understood that they have, perhaps belatedly, gone to one of the heavy hitting firms, Anderson Strathern. Matters are now being dealt with there, it is believed, by Katrina Lumsdaine who is a Solicitor-Advocate rated in the Legal 500. So Rangers are now represented principally by their Company Secretary, who is an Insolvency expert, and apparently their Edinburgh solicitor is also an expert in corporate insolvency. 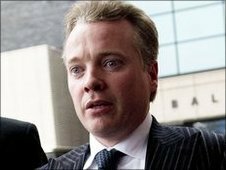 None of the above of course may have any significance as far as Rangers’ future is concerned, but it might be the case that Mr Whyte is doing what any prudent businessman would do by seeking as far as possible to protect his investments. So far, from an outside perspective, Rangers’ handling of these legal cases appears inept. It may not be – that is how it looks to me. 1 The have been dragged into court for not paying their own former lawyers, apparently missing the chance to have the bill looked at independently and the matter resolved without a court action at all. 2 They have mounted a direct challenge to those layers alleging a conflict of interest, despite, apparently, having been told, and given evidence, that there was no such conflict. Perhaps the English guidelines for conflict of interest are different, but, as Mr Withey might need to be told “We’re not in Kansas any more, Toto!” It would be en elementary mistake, and I am sure one Rangers have not made, to have their main legal adviser one who is not qualified in the law applicable to the dispute. However, and I am sure these are matters Levy & McRae will have considered as soon as they were aware the complaint had been made, has Mr Withey placed himself in difficulty with his own actions – if, as alleged, he has made a complaint, and a very serious one, and has failed to tell the body to whom he complained anything about the responses he had received? This would either appear to be a bad mistake, or something worse. Again, I am not casting aspersions on Mr Withey, nor on his firm, and should not be taken as doing so. However, it does appear an odd combination of circumstances. 3 Mr Bain has been successful in his arrestment of funds. Rangers’ dirty linen regarding their alleged possible insolvency has been aired in court, and accepted, to some degree, by the judge. It may well be the case that the original choice of lawyer has started them off on the back foot. When dealing with a firm like Levy & McRae, and standing the situation which appears to pertain to the case itself, as I will discuss in my next piece, Rangers might already have left a gap in this vase which they cannot close. 4 There has been a great deal of speculation about Mr Whyte’s plans for Rangers. He says he is in for the long haul and there is no reason to doubt what he has to say. However, matters are not in his hands. If HMRC succeed in the so-called “big tax case” then might the shutters be coming down at Ibrox? As I have suggested before, I think not. 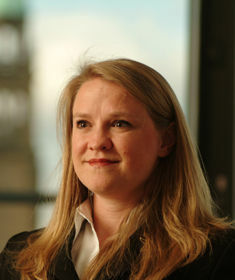 However the appointment of a corporate insolvency expert as Company Secretary, and now the engaging of a similar expert to handle the Bain case suggests that possible insolvency and how to deal with it are matters which were close to Mr Whyte’s mind from before the takeover took place in May. Is it his intention to have the company go in and out of administration in a “pre-pack” deal? If the tax case goes wrong for Rangers, then administration and worse are definitely on the agenda. Interesting times at Ibrox and I am sure about to become more so! This relates to sanctions if a club is allowed in but fails to pass scrutiny afterwards. The licencing rules are designed to prevent clubs not complying from being granted a licence and whilst there is a bit of fuzziness on clubs in adminisration being allowed in the rules on overdue payables to tax authorities are quite clear. They give HMRC leverage in coming to a deal with Rangers as a deal with the tax authority is required if the bill is overdue to pass the conditions set..
Having siad that HMRC should use this to recover what they are owed from UEFA money if Rangers continue until such times as the tax debt is cleared.. I suspect that, if Rangers are going to go under, then the plan would be to have it done sooner rather than later, and the fact that they seem to be going heavy on the Insolvency lawyers might suggest that the groundwork for a prepack is being laid. The Rangers Tax Case blog is top notch on all these intricacies. If Rangers enter administration and get back out quickly, with a deal agreed to by, or imposed upon HMRC, then they could be out of administration in time to get their UEFA licence and would be clear of HMRC debt. And UEFA could be a bit wooly with their rules if strict application prevented an historic team like Rangers getting in to Europe. I am sure the SFA, in the interests of Scottish football, and the co-efficient, would battle hard for their admission. Maybe but if I were a tax inpector (and I hope there are some reading) as a major creditor I would be dragging my heels on any agreement that left them with nothing to show. I would be going through the procedure with a fine tooth comb to be able to say sorry we have no agreement on the tax overdue. I might even suggest the whole Rangers approach has been solely designed to avoid meeting their debt and look at how legislation is enabling them (and if it can be changed to stop them). The SFA will not be so unhelpful, indeed how Rangers got a licence with the small bill unpaid is a mystery but I’ll leave it at that. Just wanted to point out unpaid tax , unless conditions were met, is a reason to deny a licence. The idea that HMRC will be impotent does not quite stand up for me. Thanks again – all good points. As regards the Uefa licence for this season, I understand that the “official” explanation was that the sums were not overdue until after the licence application date. I assume the the “big tax case” was ignired as it was under appeal at the time and therefore technically not due yet. If the “big” vase goes in favour of HMRC and Rangers do not go into insolvency, then surely they could not be allowed into Europe next season – unless Uefa/SFA came up with some “greater good of football” excuse. I suspect that the game of bluff and double bluff between RAngers and HMRC is similar to that in Blazing Saddles when the new sheriff first rides into Rock Ridge. But the HMRC goal has to be to get in as much as it can, and a distressed sale in a liquidation would likley generate far less than if there was a receivership or administration. For one, liquidation entitles, as I understand it, the players to tear up their cointrcats and become free agents, thus no transfer income forthe liquidator. He is then left with a football ground and trainig facilities – perhaps, as at Airdrie, for a “New Rangers” to arise, debt free? HMRC wants to get something out of this as it would appear does Craig Whyte. He, allegedly, has a history of making money from failing companies. Perhaps he miscalculated the amount of scrutiny there would be here, but one would assume his master plan has not gone awry after only 4 months. I would say that its chances of getting in as much as it can are improved no end if it shows no mercy at all in this case. For one thing, Rangers haven’t got a hope of paying the big bill, even before the preferred creditors strip the carcass clean, so there’s next to no pickings for Hector in any case. More to the point though, the big picture is that HMRC has its eye on a host of other EBT abuses which could pull in half a billion pounds. The Revenue stands a far better chance of getting the rapt attention of these other businesses if it can point to the crows pecking the eyes out of a head on a pike than if it patiently nurses Rangers back to some semblance of business normality while accepting pennies in the pound for tax liabilities that stretch back to over a decade ago. What would be the point of adding interest to the principal sum and also issuing financial penalties if these were then going to be negotiated down to a settlement which amounts to “whatever you can spare without going bust”? That’s hardly going to frighten everybody else into line.